A rich Colombian blend, with hints of sugar & cream. For coffee, vaping lovers, this is the must-have of the V2 cartridge range. The quality of the product is fine. What you would expect from the brand, and on par with competitors. The flavor, however, was a bit weird. This tastes like real coffee. I quit drinking coffee and I missed the taste. When I took my first puff it tasted better than coffee. We used to use GreenSmoke's Mocha before they were discontinued. 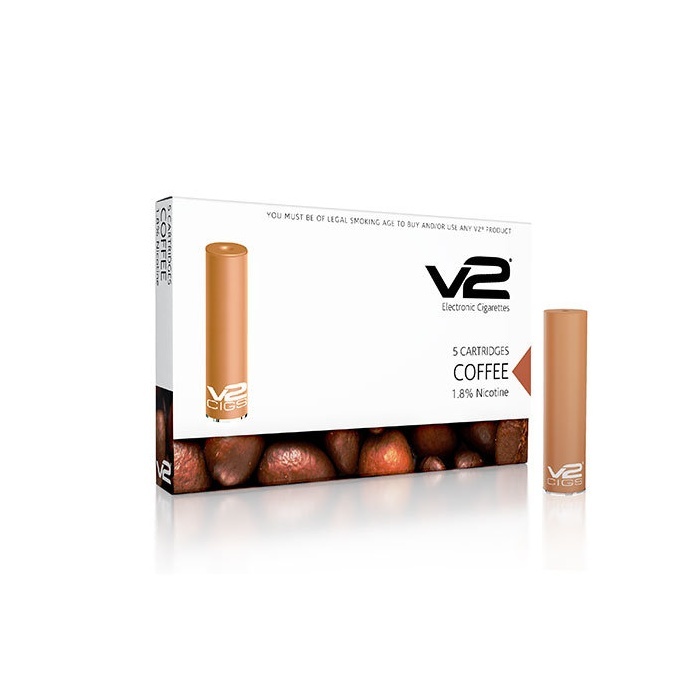 This V2 coffee cartridge is just as good or better in flavor and lasts a lot longer. Great product . Never had any issues with the cartridges. Shipping is free, quick and on time. Very good flavor. But have to change the cartridge at least every day. Love V2 products and this one does not disappoint! Great coffee flavor. Love the Free shipping offered also!